#1 Establish yourself as a trusted expert. People search online for information and will look to you, as a subject matter expert, to provide it to them. Every week (or whatever schedule works) provides an opportunity to build on this, while reinforcing your brand. #2 Build a relationship with the people on your list. It’s common knowledge that people like to buy from people they like. By using ezines to connect with readers in their homes, you can develop a relationship of familiarity and trust. Be sure to share a little about yourself or your company in every issue, whether it is an anecdote, event, or employee spotlight. #3 Keep in touch with prospects and clients. Consideration should be given to eventually developing two ezines: one for prospects and one for clients, as each require different information. This is a great way to notify your readers of weekly specials or upcoming product launches, offer new articles or customer stories, and provide links (or URLs) to updated FAQs, blogs and splash pages. #4 Drive traffic to your website or blog. As noted in #3, remember to call attention to new blog posts or other changes to your website with links directly to those pages. Remind readers of your online newsletter archives. Promote special sales (maybe with discount coupon codes only for subscribers) with a link to the sales page. Use links to turn your ezines and newsletters into ‘silent salespersons’– driving traffic to your website and building your lists around the clock. #6 Get feedback from your readers. Make it easy for you to stay in touch with prospects and customers and vice versa. Ask them to take action and comment on your articles and offers. Conduct polls and surveys. Start a ‘Letters to the Editor’ column in your ezine. Feedback allows you to fine tune your messages, target your marketing, and expand your product line. It’s also great for relationship building! #7 Develop an information product. If you deliver your newsletter once a week and include two articles, at the end of a year you’ll have 104 well-researched articles in your portfolio! Pick the best-of-the-best and turn them into a bonus eBook for opting-in to your list, submit to download sites to build your list, or sell in PDF-format! #8 Grow your mailing list. Let your ezine subscribers work for you. Be sure to remind your readers that it’s okay to forward your newsletter to anyone they’d like. In addition, it’s important to include sign-up instructions for those who received your ezine from viral marketing methods. A simple line titled, ‘Get Your Own Copy of XXXXXX’, with a link to your squeeze or opt-in page is all it takes! #9 Gather demographic data. By offering surveys, feedback forms, and niche reports, you’ll be able to get valuable information about your prospects and customers. Learn what makes your readers tick, how to better serve them, and how to give them what they want. Make sure they become repeat customers! #10 Save money! All of the above benefits of publishing an ezine are free or almost free. The small cost of a top-rated ezine publishing system is nothing compared to the cost of brochures, business cards, advertising, direct mail, pay-per-click or other means of promotion. Not only that, but someone has to manage that production! Because your newsletter is delivered online, you can grow your list to be as large as you want without worrying about the expense. 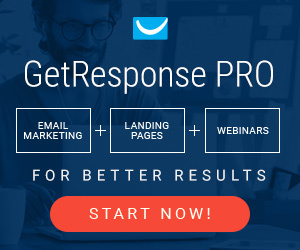 Bottom line − it’s proven that email marketing is the most cost-effective marketing solution for companies just like yours!